Finally, the update Star Wars Battlefront II fans have been waiting for! E3 have just announced new DLC coming later this year and it is… the Clone Wars! The announcement detailed four new playable characters, the first of which being separatist cyborg General Grievous. Alongside Grievous, players will be able to channel both the master and his apprentice with Sith Lord Count Dooku joining the fray as well. Balancing out the darkness are Jedi Master Obi-Wan Kenobi and his rebellious Padawan Anakin Skywalker. The new Clone Wars DLC will take place across a number of new levels set on Geonosis. This will include one new level which promises to be the largest level ever created in the game. This comes as very welcome news to Battlefront fans. EA have been working hard to improve the game following its ‘rough start’ and believes the game still has a ‘bright future’. The announcement reminded fans that the game has had an ‘overhaul of its progression system’, referring of course to last year’s loot crate fiasco. EA also celebrated the success of new hunt modes, such as Ewok Hunt on Endor, which has proved to be the most popular update yet. The game is currently in the midst of its Han Solo season, which includes new character skins and maps from Solo: A Star Wars Story coming on June 12. The Han Solo season will include a new Kessel map, which will be playable in extraction mode. As well as the Clone Wars announcement, there will be more to look forward to in the game this summer. 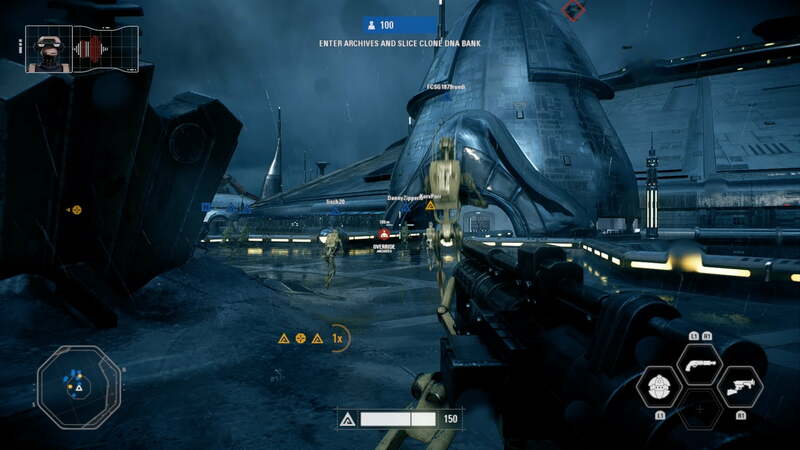 A new squad system will enable greater playability between friends. A new starfighter mode means that you can enjoy a dogfight in some of your favorite Star Wars ships. Finally, a new multi-player sand-box mode will see players taking down capital ships! All in all, a great Battlefront II announcement at E3. Let’s hope it delivers the ‘bright future’ of the game we are all hoping for. Are you excited for the new DLC? Let us know in the comments!